Welcome to the Fire Practical Exam Evaluator Training Education (PEETE) page. This page contains information for Fire Service Evaluators, Fire Service Instructors, and students on the practical exam process that is utilized by the Division for final certification testing. STUDENTS IN CURRENT PROGRAMS – You may download the directions to the candidates, practical exam skill sheets, and demonstration videos to help you study and prepare for your upcoming practical exam. It is important to note that you must prepare for ALL OF THE PRACTICAL EXAM STATIONS as there are no set stations that will be chosen for every exam. As a student, you can be asked to perform any of the skills that are listed on the practical exam sheets, so be prepared. RECIPROCITY STUDENTS – All of our materials are available to you as well. You may use the skill sheets and videos as your student guide to prepare for your exams at our monthly testing. 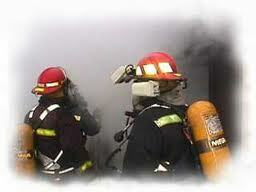 FIRE SERVICE INSTRUCTORS – Please use the video reviews to “get on the same page” as the students and evaluators. You may also use the videos during your review sessions with students. FIRE SERVICE EVALUATORS – Any of the materials here are for your use. Should you have any questions, please contact one of the exam coordinators at the Academy for further assistance.